For decades, Durban activist Wally Menne has been a thorn in the side of mining and timber corporations – but also a patient teacher, mentor and inspiration to a generation of social and environmental campaigners across the world. This weekend, however, activists from across the country and several continents were mourning his loss and paying tribute to his energy, principle and determination. By TONY CARNIE. 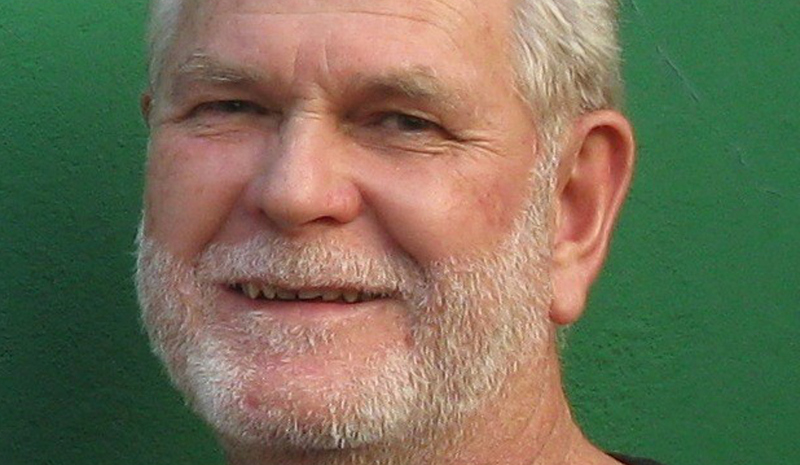 Wally Menne, 66, who collapsed at his home in Hillcrest and died in hospital on Thursday 26 October, was at the centre of the campaign to halt dune mining at Lake St Lucia in the 1980s, ultimately derailing the ambitions of Richards Bay Minerals to extract titanium from the heart of one of Africa’s oldest game reserves. He was also a founding member of the Timberwatch alliance and the Durban Climate Action Group, and was respected nationwide for his knowledge of indigenous plants. In email and Facebook messages from North America, Latin America, Asia and Europe, fellow campaigners variously described Menne as a “lion among men”, a “dauntless eco warrior” and a kind and patient teacher who inspired young and old through his love of indigenous plants and wild spaces. Working with fellow activists from across the world, he led campaigns against paper giants Sappi and Mondi and other global timber corporations. During the UN World Forestry Congress in Durban two years ago, he took issue with the title of the congress itself, declaring that it was a misnomer to describe single-species pine or gum tree plantations as forests. “These are not forests. These are fake forests!” he shouted, likening “forestry” to terms such as “separate development” or “mother tongue education” that had been used to put a pretty face on apartheid. Speaking from Minnesota, USA, Indigenous Environmental Network founder Tom Goldtooth lamented the loss of “a great man with a wealth of knowledge”. Andrew St Ledger of The Woodland League in Ireland said Menne was “a kind and gentle person and ferocious defender of our environment”. Dr David Fig, political economist, anti-nuclear activist and chairman of Biowatch South Africa, remembered Menne as a man of great integrity and passion, galvanised by “an outrage against injustice and the alarming expansion of industrial plantations”. Durban environmental justice campaigners Bobby Peek and Desmond D’Sa – both winners of the international Goldman Environmental Prize – also paid tribute to Menne. Di Dold, a senior member of the Wildlife and Environment Society, described him as “one of a kind”. Simone Lovera, executive director of the Global Forest Coalition in Panama, said it was hard for her to imagine a world without such a ferocious fighter. Almuth Ernsting, Scottish-based co-director of Biofuelwatch, met him in 2007 while she was still a “naive and inexperienced” environmental campaigner. “If I had not got to know him, I doubt whether I would still be a full-time campaigner and activist today. Wally was without doubt one of the most principled, knowledgeable and effective campaigners I have ever met. Philip Owen, founder of the Mpumalanga-based GeaSphere network, was also driven into action by Menne’s vision. “I heard Wally Menne talking on a radio talk show in 1999 about the impacts of monoculture timber plantations, and the immense value of indigenous grasslands. His teachings resonated with me, and after the programme I contacted the radio station and sourced his telephone number. Menne had sacrificed his material comfort and health by working long hours, with most of his work done for no financial gain.